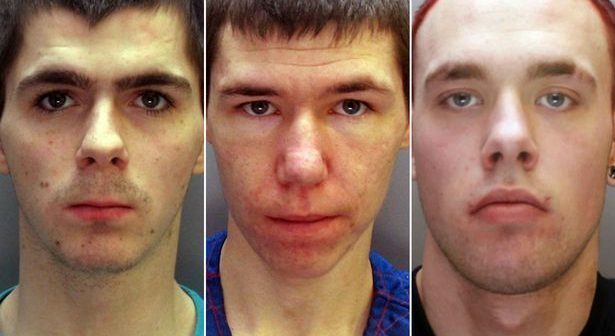 Three thugs, who mugged a hospital worker as he waited for his bus, have been found guilty of assault and theft. The jury heard of how the attackers cornered the victim in a bus shelter and began to taunt him for his phone. Prosecuting barrister Sion ap Mihangel told of how the victim, Mark Monserrate, had been working a full shift and was waiting to get his bus home when the robbery occurred. Two of the attackers, James Thomas Brown and Jamie Hughes, both 20 years old, were each sentenced to 28 months youth detention. The third mugger, Jordan Jones, 21, received 18 months. As the three cornered Mr Monserrate, Brown repeatedly told him “give me your phone“, whilst the other two watched on and laughed. Once they had the phone, Brown then punched the victim in the face and kneed him. As the victim tried to call for help, the muggers ran off and were said to be “whooping” as they left the scene. Mr Monserrate went on to describe how the attack had affected his confidence when travelling home from work after the incident. He felt especially vulnerable when travelling home in the dark. 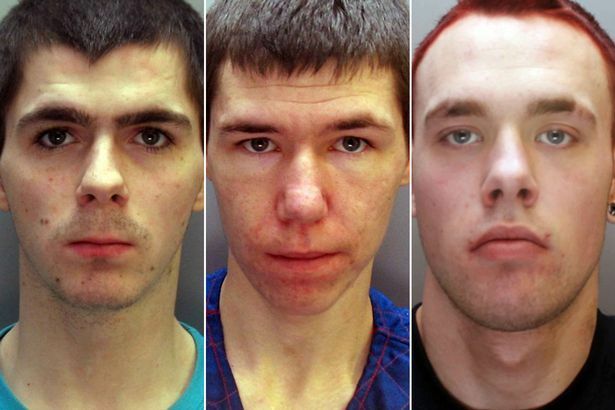 Hughes and Jones, both from Holyhead, denied robbery but were convicted at Caernarfon Crown Court in November. Brown, also from Holyhead pleaded guilty to robbery. Judge Niclas Parry said the three defendants were under the influence of drugs and saw a vulnerable man on his mobile phone. They weren’t aware of what they were doing. Judge Parry spoke about how Brown initiated the attack whilst the other two watched and encouraged him. Elen Owen, for Brown, said that he had a difficult upbringing and was hoping to turn his life around on his release. Philip Clemo, for Hughes, said that his client, who was on the periphery, had an extremely poor start in life. He had not touched the victim but had been convicted on the basis of joint enterprise. Jayne La Grua, for Jones, said he had a desperately sad background, had low self-worth and was vulnerable and easily manipulated. Investigating Officer, DC Karen Pritchard-Williams of Bangor CID welcomed the sentences. “It gives out a message that violent crime such as this will not be tolerated by North Wales Police or the courts,” she said. “The victim was faced with a situation of three against one and he tried his best to retain his property that he had worked hard for.